The Badminton Scottish Open has been taking place at the Emirates Arena in Glasgow. Kirsty Gilmour managed to retain her women’s single title overcoming the second seed Line Hojmark Kjaesfeldt of Denmark. Gilmour took the first game reasonably comfortably winning 21-16 but found it much harder in the second despite leading for much of it, she eventually lost it 21-18. The third game looked to be a straightforward affair for Gilmour being up 20-14 at one point. However the Dane refused to yield surviving four match/Championship points. In the end Gilmour proved too good winning the match 21-18 and securing another Scottish Open title. 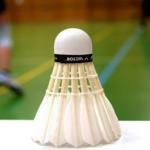 There was further British success with England’s Marcus Ellis and Lauren Smith in the mixed doubles as they took on the Dutch paring of Jacco Arends and Selena Piek. Those this match unfortunately ended midway through the first game when Arends was forced to retire therefore handing the title to the English pair. For the record Ellis and Smith were 13-6 up when the game was halted. Meanwhile Ellis also managed to reach the final of the men’s doubles alongside partner Chris Langridge. They took on the Danish pair of David Daugaard and Frederik Søgaard beating them in two games 23-21 and 21-16. Kirsty Gilmour vs Line Hojmark Kjaesfeldt is available to watch via Badminton Scotlands own YouTube channel, I’ve added it below along with the men’s doubles final. Congratulations to winners Kirsty Gilmour, Lauren Smith, Marcus Ellis and Chris Langridge. You can keep up to date with further Scottish badminton news over at the official Badminton Scotland website. If you would like more news from across the badminton world along with plenty of guides on how to improve your own game then explore the rest of our site and check back regularly for updates.